Surrounded by green forest, fields and meadows, our farmhouse is picturesquely located on a little hill, far from the main road. The neighbouring builduings are an ancient manor and the ruins of an old factory of vodkas and liquors founded by the archduke Rainer Habsburg. Here was born the famous liquor Jarzebiak Izdebnicki. 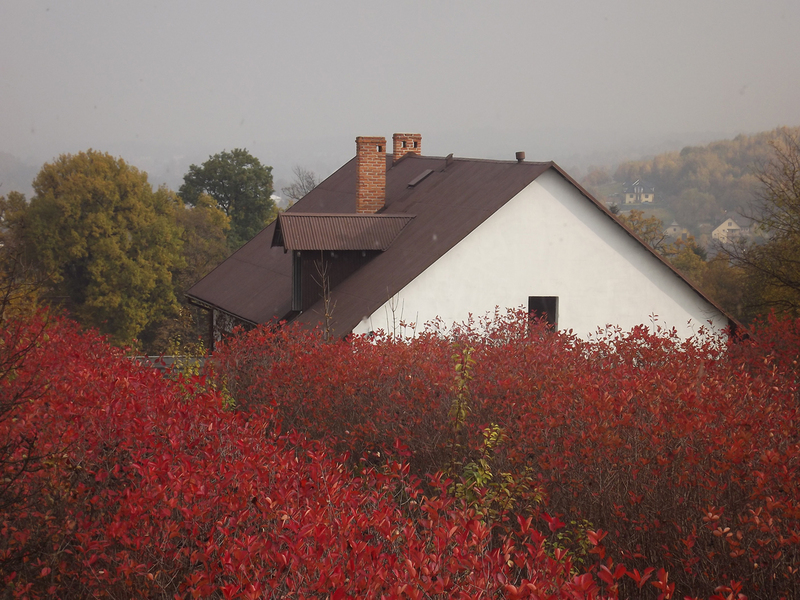 The landscape is completed by the view of Lanckorona (4km) and Kalwaria Zebrzydowska (6km). 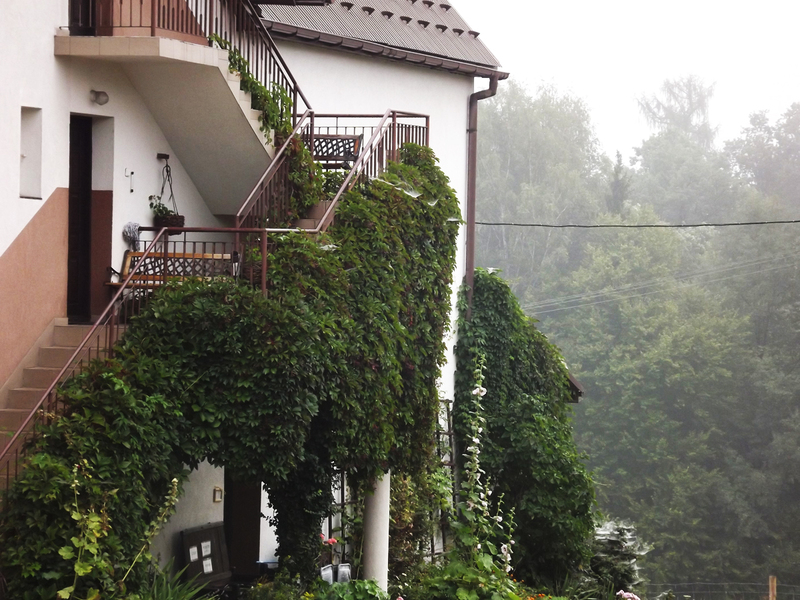 A perfect place for walking, hiking and cycling, the farmhouse is located on the Amber Cycling Route. The name of our agritourism farm comes from the chokeberry plantation surrounding the house. The thousands of chokeberry shrubs create a specific microclimate, especially during the blooming time in May. It is equally beautiful in summer during the harvest and in autumn when the chokeberry leaves get all the shades of purple and red. Apart from chokeberries, we have lots of plum and cherry trees. We produce our own confitures, juices and jams from all these fruits. 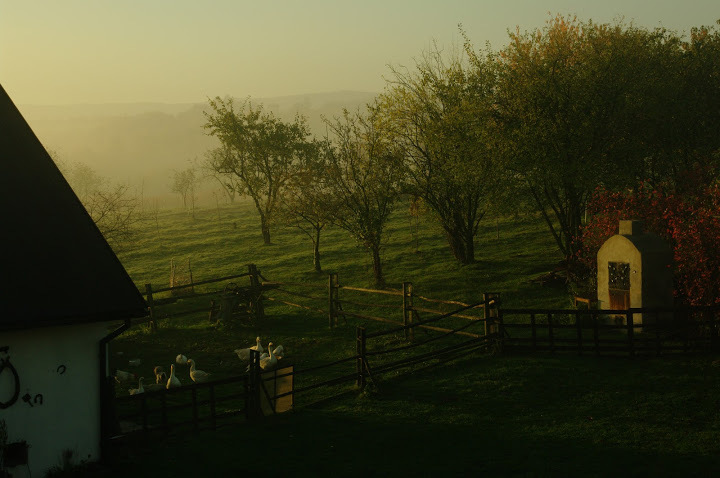 Our agritourism farm was awarded one "Sun" according to the categorization of Polish Federation of Rural Tourism "Hospitable Farmhouse".